Welcome to our Home Stay in Nepal page. We want you to have different experienced on your holiday. This is a truly unique and enjoyable experience in Nepal that you will never forget. During your home stay visit in Nepal, you will be more than just a guest, you will be welcomed as a family member - a rare privilege for international visitors. You will leave feeling like you have a second family in Nepal! Your hosts will respect your privacy and space too. Tired of sterile hotels? 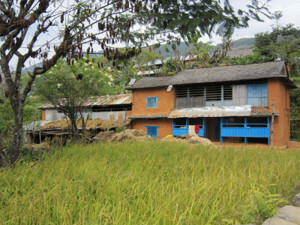 Come and stay with local people in rural part of the Nepal. Their doors are always wide open to you. Come and cook with locals, learn how to make our famous Dal Bhat. Visit the places that guide books do not show. Learn the unique culture that no one told you about. Tasting traditional; Nepali food prepared lovingly in the home is very different to what you taste in the Hotels. You will love it. Come and share your life story with local people and they will share theirs to you - bring lots of photos!. Come and teach about western food and they will teach you how to make Dal Bhat. Partake in the sharing of passions and information in our cross cultural world. Local people are always there to host the group and we promise you will leave with a smile, many wonderful memories and a desire to return. 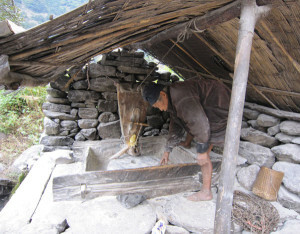 Farming is the main industry in Nepal. However tourism is beginning to support it more and more as more areas are opened up to trekking and sightseeing. Many people are depending on farming (plantation of crops, animal husbandry any many more). You can explore how people are working on their fields and farms and their general way of life. Your few days with the local people in this part of the country will help them to gain knowledge on how they can improve their living standard and day-to-day lives. This is a truly unique way to experience the culture, hospitality, and ethnicity of Nepali life. 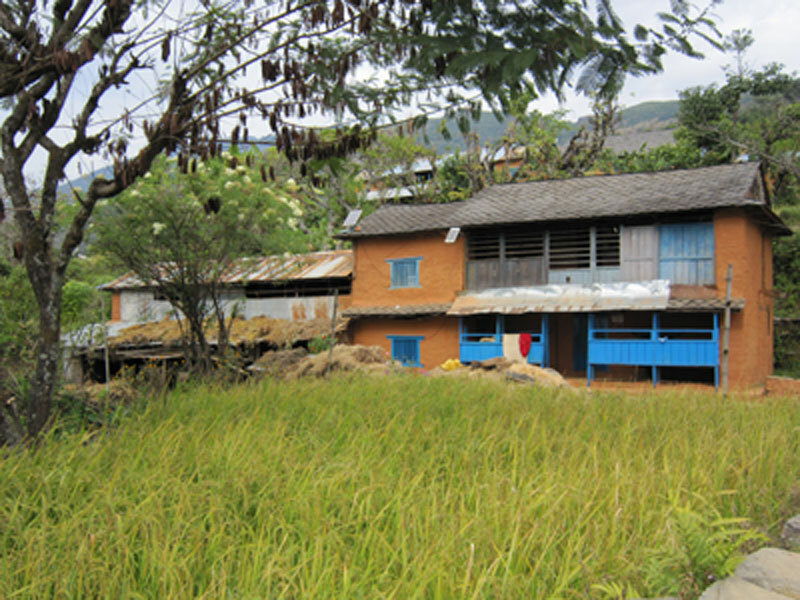 Day 03: Drive to Dhading besi (3 hrs) and trek to Jyamrung Durbar 3-4 hrs. “Durbar” is a Nepali word for Palace, is the famous place of Jyamrung VDC of Dhading. Long time ago, when Nepal was divided into many small state the king used to rule from here for this state. You can see an excellent view of mountain range from this hillock. You can see from Langtang range to the Annapurna Himalayan range. Day 04: Trek from Jyamrung Durbar to Ringne 4-5hrs. Ringne is the bottom of Salyankot VDC and lies on the bank of the Netrawati river. Recently they have built a hydro power project in Ringne. Day 05: Rest days at Ringne to explore. You can spend your time by visiting local people houses, visit the hydro power project and fishing at the river with locals. Day 06: Trek from Ringne to Phulkharka 5 hrs. 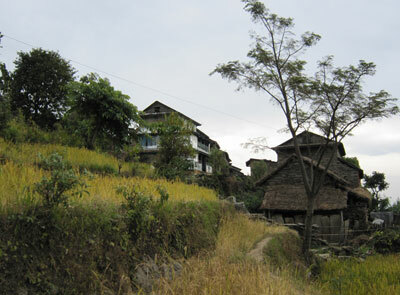 Phulkharka is the famous village of Dhading . There are many places to visit. Such as: Temple, Waterfalls and traditional village of different ethnic groups. Day 07: Trek from Phulkharka to Tilahar 5-6 hrs. Tilahar is a nice little village of Salyankot VDC. You can see nice view of mountains and valley view from there. Day 08: Rest day at Tilahar to explore the culture of this beautiful village and enjoy nice view. You can see nice view of sunrise and sunset from this place. You can go to visit the temple of Goddess Tripura Sundari. It is also known as aTripura Sundari Mai Temple. This is one of the famous temple of Dhading as well as among Nepali pilgrimage. Considered as a willingness fulfilled goddess of your dreaming. Many people come to visit this temple from different part of the country. Day 09: Trek from Tilahar to Khahare, it would be only one hour walk and take a bus to Kathmandu (5-6hrs) drive. Note: If the above itinerary does not meet your needs, we can design tailor made travel plan based on your interest and timing.